The foremost intend of motion detection is to sense the presence of human or any heat emitting object’s movement in a particular region. 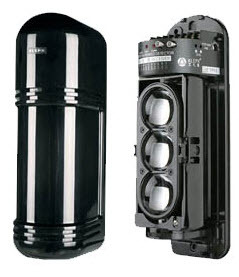 This is significantly used for security systems like intruder at the door, ensuring security in banks, shopping malls, during escalators’ movements, during loads operations in industries, and sensing the presence of human in the absence of actual owner. Motion detection can be classified into two ways based on the way in which the motion is detected. Let us consider an input given to a mobile. When we mechanically press the buttons/letters of the keypad on a mobile, the letters get displayed on the mobile screen by detecting the mechanical motion given as the input. This is considered as Mechanical Motion Detection. Similarly, input given from the keyboard of a computer also comes under this category. There are electronic methods by which motion can be detected using the infrared light and acoustic. This can be termed as Electronic Method for motion detection. The device/sensor that detects the movement of objects especially human beings or objects emitting heat can be termed as Motion sensor detector. Active motion sensors continuously emit energy in the form of infrared light or electrical field in a particular region or certain area. Whenever human beings or objects with heat or temperature pass through this area, they cause some disturbances in the temperature, which can be detected by the motion sensor. The active-motion sensors consist of both emitter and reflection detection circuits, but these consume more amount of energy than the passive motion detectors. Active motion detectors can be categorized into three types: microwave, tomographic and ultrasonic motion sensors. The microwaves are emitted from a sensor and are reflected back after hitting a moving object or human being, and then detected by this type of sensor. The frequency at which the waves emitted will be differed if the waves get reflected from any moving object. The entries operation is then recorded for performing comparison. The working of this sensor is similar to the working of a Radar speed gun based on the Doppler Effect. Similar to a microwave sensor, an ultrasonic sensor emits sound waves with high frequency which is comparable to an audible-frequency range, so these sound waves are inaudible to the human ear. Here also the entries are recorded for later comparison. The frequency of waves are reflected to the sensor if any moving object is noticed, and due to this, an electric pulse is generated by a transducer which in turn activates the sensor circuit to sense the object’s movement. 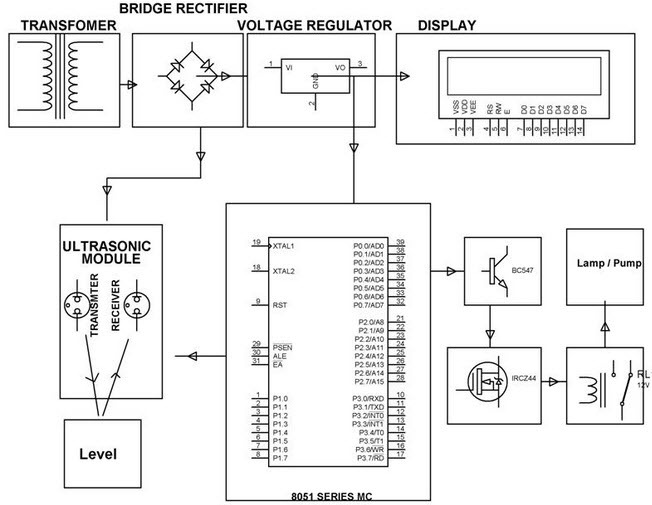 Ultrasonic sensors are used as alarm system at home to guard safes. Ultrasonic sensors are used for triggering security camera at home and for wildlife photography. Ultrasonic sensors are used for detecting the type of material by absorbing sound measurement. The tomographic sensors surround an area with the multiple nodes in that area communicating with each other with radio waves at a frequency of about 2.4GHz. The motion of an object can be detected by disturbances occurring on a mesh network. As these sensors don’t rely on the line of sight, they can be used for detecting motion even in hidden areas of up to 5000 square feet. If any disturbance is identified in a mesh network, then the sensor will activate the motion sensor alarm. Tomographic sensors are used for automation and security in homes or for security intended places. Tomographic sensors are very much effective even in dirty and cluttered environments also. Tomographic sensors are used to protect high value asset areas like banks where there is a chance of failure of other motion sensors due to hidden motions. The passive sensors don’t emit any radiation; instead, these sensors absorb energy for sensing the motion of the objects or human in their coverage area. Hence, these passive sensors consume less energy than the active sensors. Every human or object having temperature emits infrared radiation. 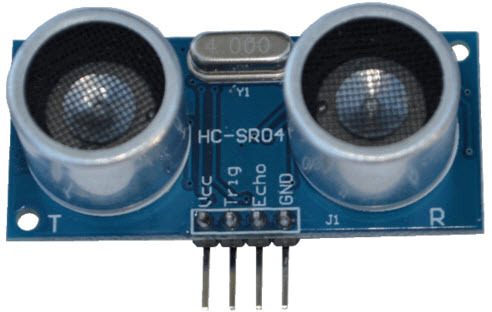 Whenever an object or human having temperature passes through the region covered by the PIR sensor, then the infrared radiations emitted by the object are absorbed by the sensor and certain electrical signal get generated to sense the motion and it is totally different from temperature sensor. 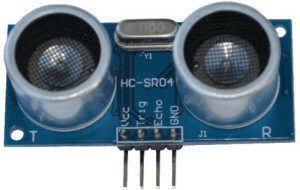 PIR sensor is a pyroelectric sensor, and the sensor is divided into two halves such that whenever any moving object emits infrared radiation, each half cancels the other half if both the halves have the same IR radiation – then, the sensors do not sense, but if it finds any more or less IR radiation, then the PIR sensor senses. 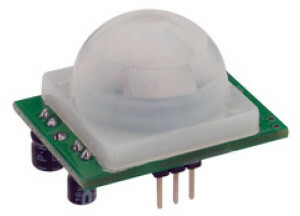 There are different PIR sensors available with different ranges of covering area. The only limitation is that it cannot detect stationary or very slow motion objects. 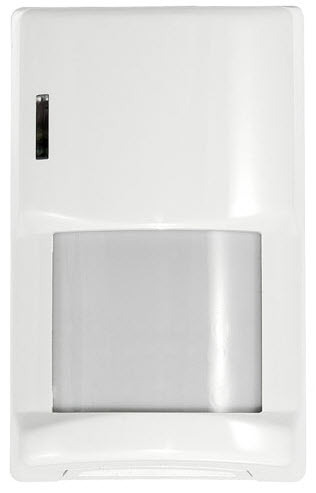 Apart from the active and passive sensors, the advancement in motion-sensor technology has developed the dual technology sensors, which are combinations of different motion sensing techniques to develop a Motion sensor and to reduce the false triggering of the sensor. The earlier motion sensors that have been discussed in this article may fail in some cases like the PIR sensor can be false triggered by heat and light change without the actual motion of the object. Similarly, the microwave sensors can also be false triggered if anything is making the motion to be sensed by the sensor to get activated. Therefore, to avoid such shortcomings, we can use a combination of sensors like PIR and Microwave sensors for better efficiency. Here, by using both the sensors together, even the PIR sensor can be triggered because of the heat or light change without involving the motion of an object, but the microwave sensor does not get activated, and therefore, the motion sensor switch cannot be triggered. Similarly, even if the microwave sensor gets trigged by tree, but the PIR sensor does not get triggered, then the motion sensor switch cannot be triggered by a combined sensor. Used for bank security systems and very high security intended places. Used as outdoor motion detectors to trigger a motion sensor alarm. Used for border security regions and dangerous places where accurate motion detection is intended. 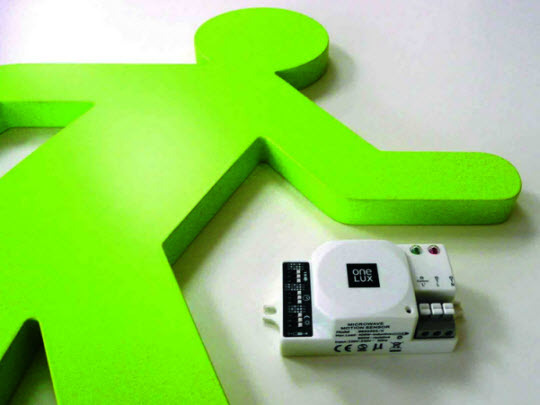 Practical examples of both the active and passive motion detector sensors are given below. The below figure shows how an ultrasonic sensor works for controlling the liquid levels in a tank by operating a motor by sensing predefined limits of the liquid. 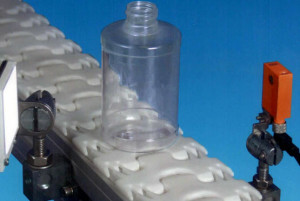 When the liquid in the tank reaches lower and upper limits, then the ultrasonic sensor detects this and sends the signals to the microcontroller. 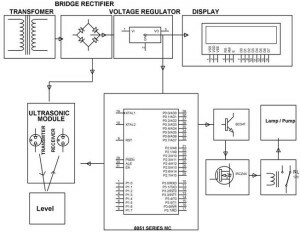 The Microcontroller is programmed in such a way that it operates relay for driving the motor pump based on the limit condition signals from the ultrasonic sensor. 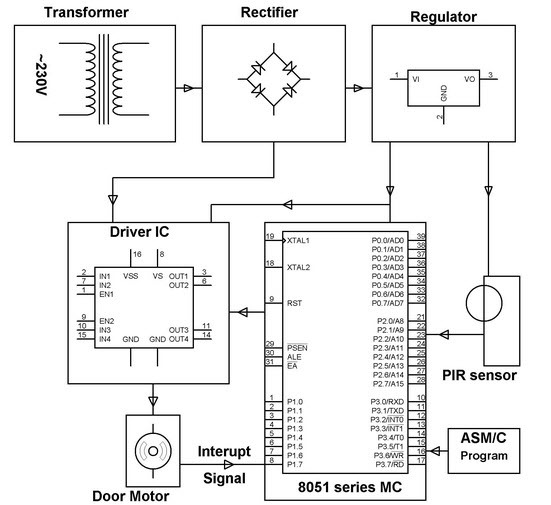 Similar to the above system, a PIR sensor detects the presence of humans to perform door operations, i.e., opening and closing. As we have discussed above, a PIR sensor detects the presence of humans alone and enables the microcontroller pins when motion is detected. 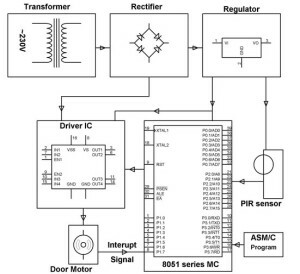 Depending on the signals from the PIR sensor, the microcontroller operates the door by operating the motor in forward and reverse rotation modes with the help of a driver IC. This is a brief description regarding the motion sensors and their applications with some practical examples of motion detectors. If you still intend to know more regarding these motion sensors or any other wireless sensor networks you can post your queries by commenting below. Hi Tarun Your article was informative. We are doing the rewiring of our house with compound lights and interior lights. I would like to know how can we use motion sensors for this. There ae number of products which to use? 1)We need to know if the person walks in without ringing bell. at the entry point located in compound. 2) The lights should start as soon as we enter or any person enters. I was informed it is very costly proposition. Which companies product is recommended. Very informative blog regarding applying sensors in the home. Thanks for sharing it . I’m interested in using a motion sensory that when activated moves an attached lightweight object. For example, a person walks near a table with a motion sensor and a series of cardboard of lightweight sheet metal cutouts atop the table standup. Can you make a few suggestions? Thanks! I have just purchased 6 200W LED floodlights for the courtyard at work. I would like to have a dual system. An on/off switch which will turn the lights on constantly (during operational hours) and then sensors which will be used once we’re closed and only turn on if activated. Do you have any idea how I could do this?